Join Otis Lab Press at the Printer’s Fair! Home Events Join Otis Lab Press at the Printer’s Fair! Join us at the Printer's Fair ! 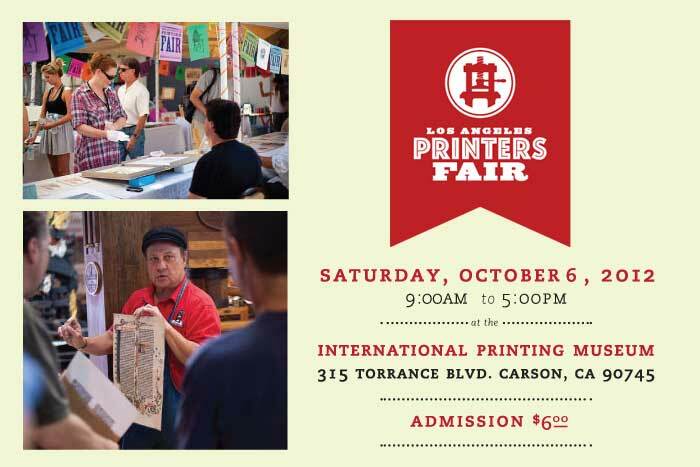 Please come and visit us at the Printer’s Fair October 6! Lab Press will be in two locations at the Printer’s Fair this year. We will be selling materials and equipment in the parking lot. Our table inside will have our books, postcards, and giveaways! If you would like to volunteer for free entry please contact labpress@otis.edu.